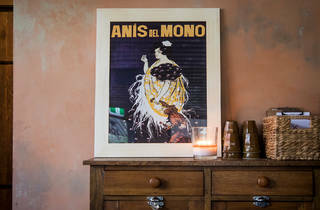 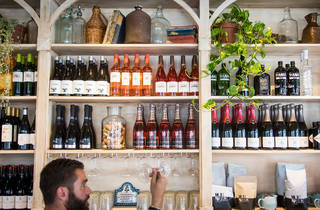 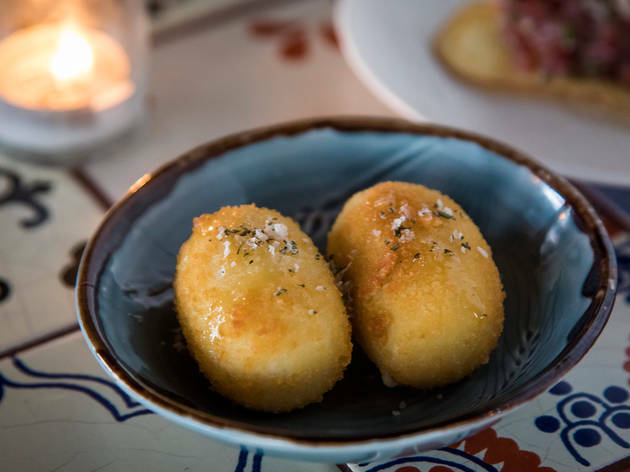 Bondi has cafés for days, but cosy roosts for a little after-hours wine are rarer out east, which is why Can Cava Pintxos and Wine is a welcome addition to Hall Street’s nightlife. 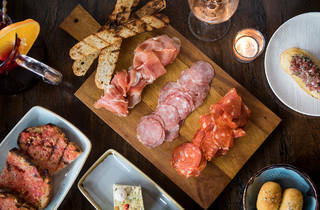 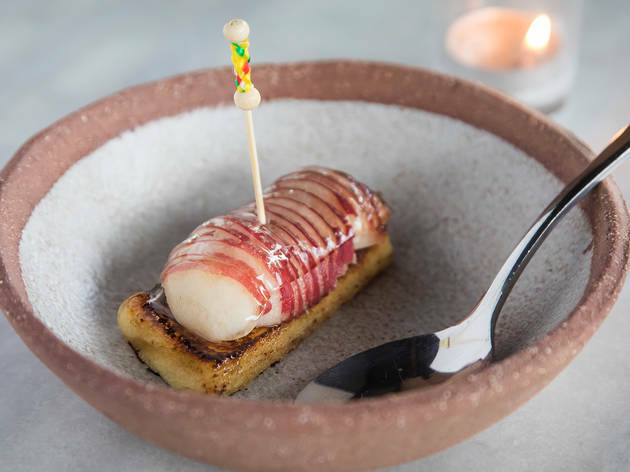 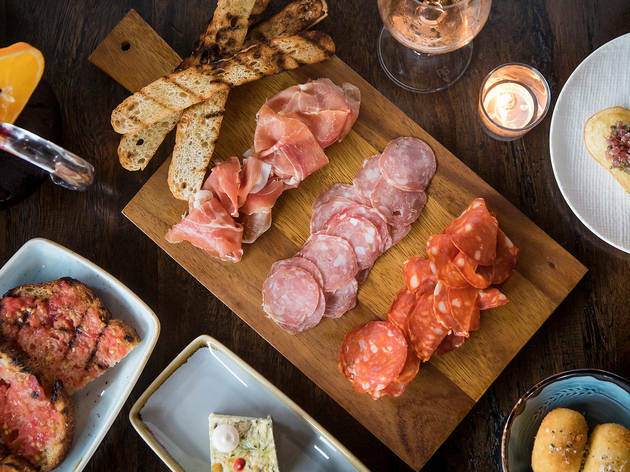 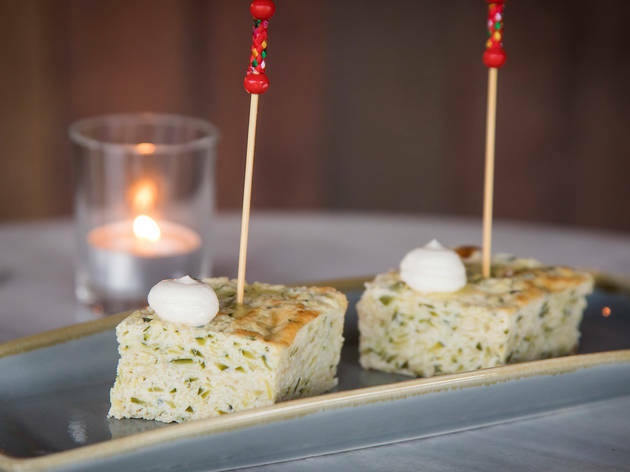 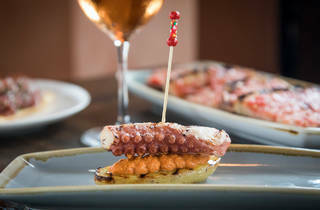 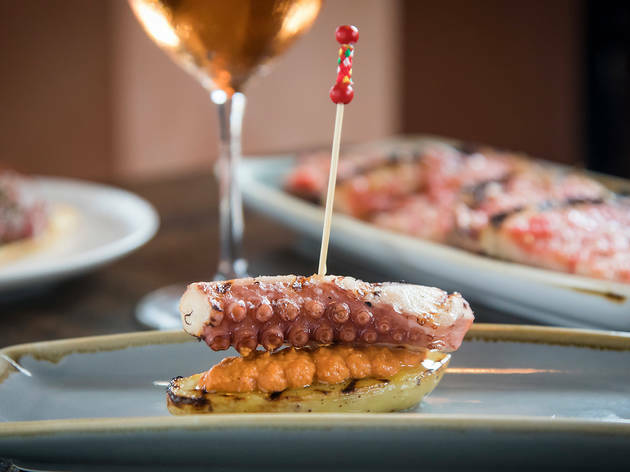 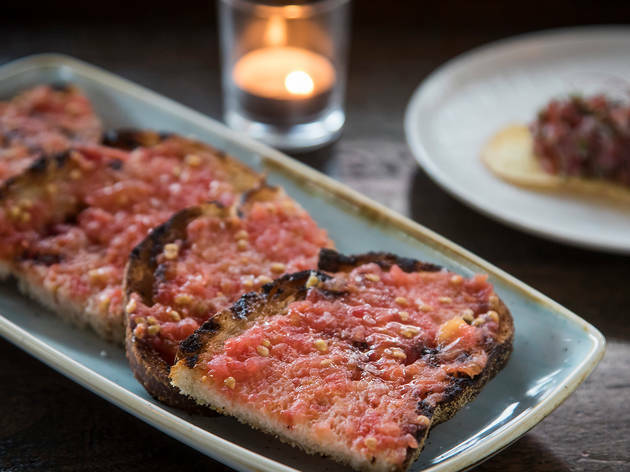 This wine bar serves pinxtos – little bar snacks skewered onto bread – but your meal here is not quite the miniature fencing match you’re picturing. 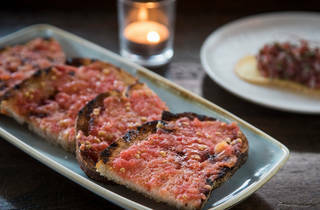 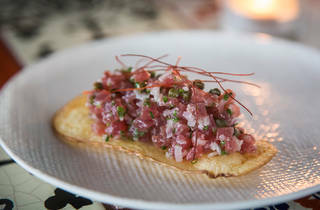 While both juicy beef meatballs in an earthy tomato sauce and creamy chickpea chips do come impaled on cocktail spears, a salty tuna tartare with chives and capers balances on a flimsy raft of a single, thin potato chip. 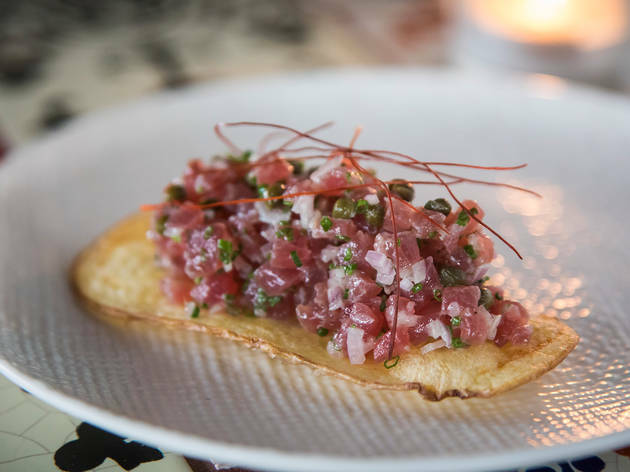 Three bright and briny white anchovies are curled up on crunchy baguette slices and conceal a bitey snapback of finely diced onion and parsley. 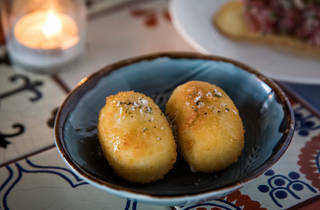 A single grilled lamb rib like a tiny battleaxe comes with a coriander-heavy sauce, but we need a hit of citrus to pump up the herbs and cut through the fat. 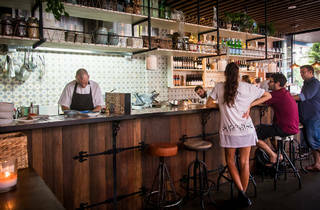 Service here is well intentioned but patchy. 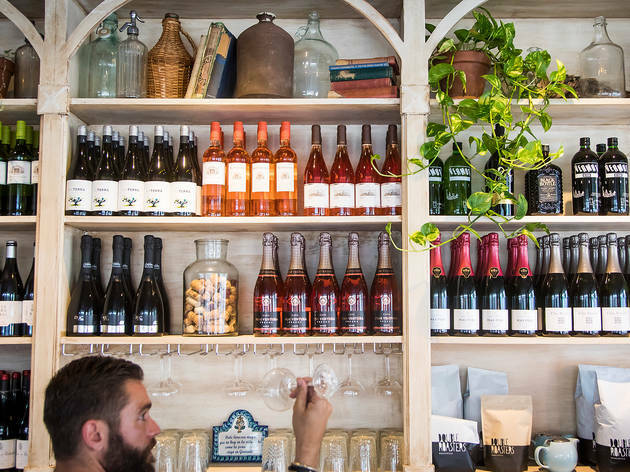 This isn't the place to get an in-depth tutorial on Spanish wine, but you can learn by drinking. 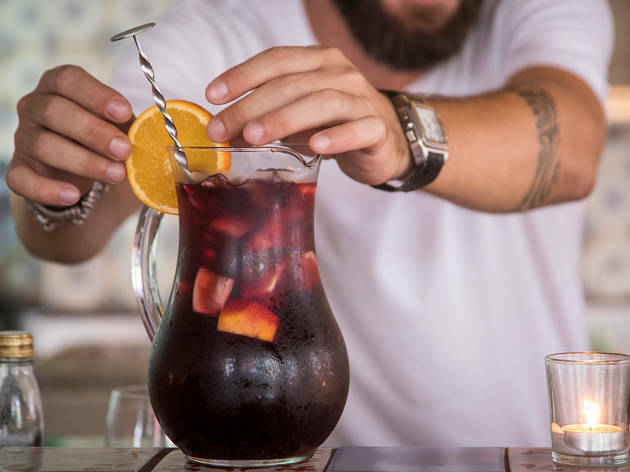 Luis Cañas barrel-fermented white has a restrained fruitiness and an oakiness that resets your tongue for the next round of snacks. 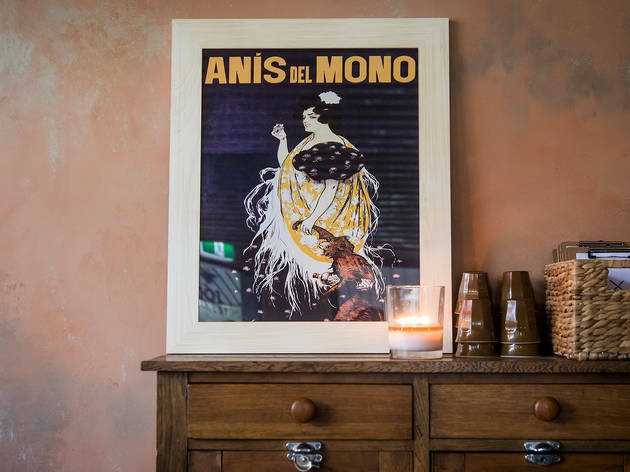 There’s a softer ripeness and polite tannins in the Don Ramon blended red – this is a wine that desperately wants you to like it. 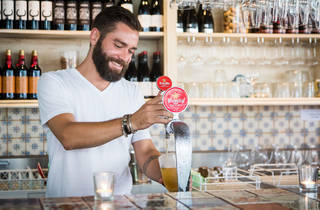 Finished learning for the day? 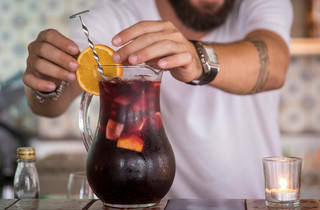 They also mix the hell out of a glass of Sangria. 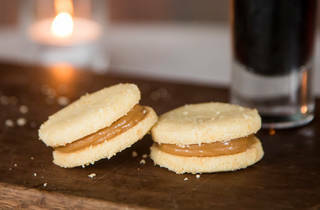 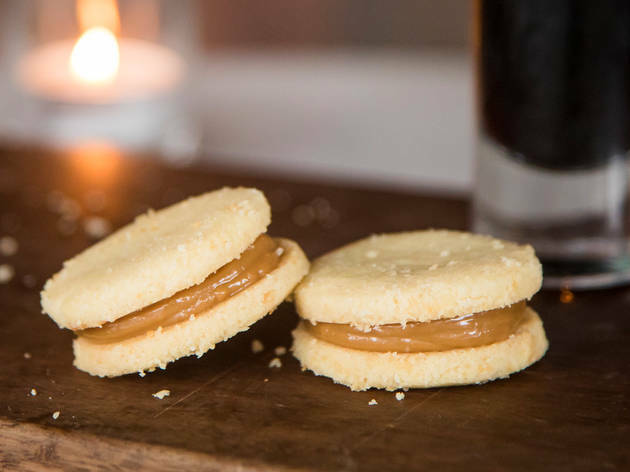 The decisive close to your evening should be the little alfajores, whose biscuit casing melts away on your tongue leaving a concentrated dulce du leche filling that matches beautifully with a nip of Pedro Ximinez. 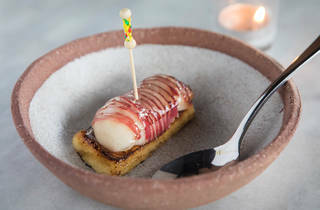 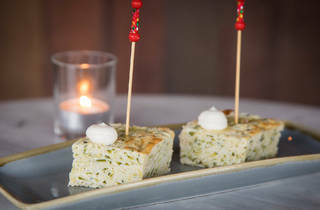 Making a meal out of the pintxos here could get pricey. 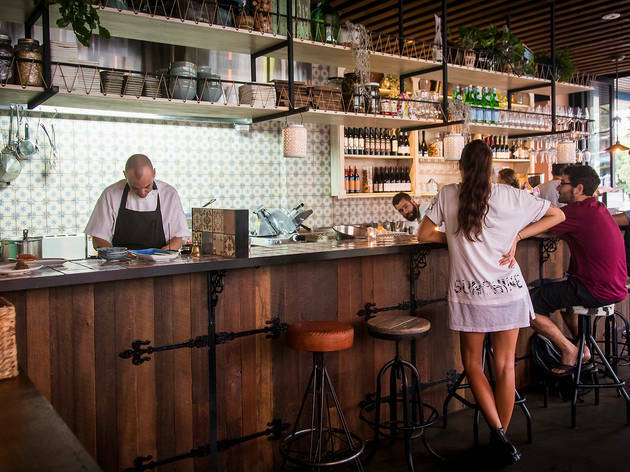 Instead, you should drop in for a wine and some people watching along this busy Bondi intersection, or bring a date for a little getting-to-know-you time along the banquette in this moodily-lit venue. 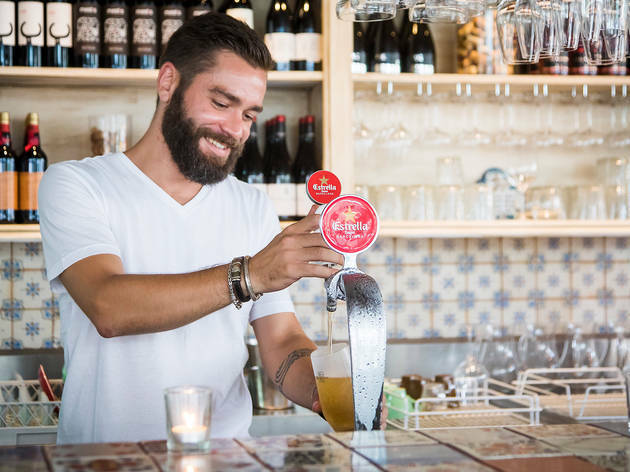 If the banter is flowing you can just keep the drinks coming.